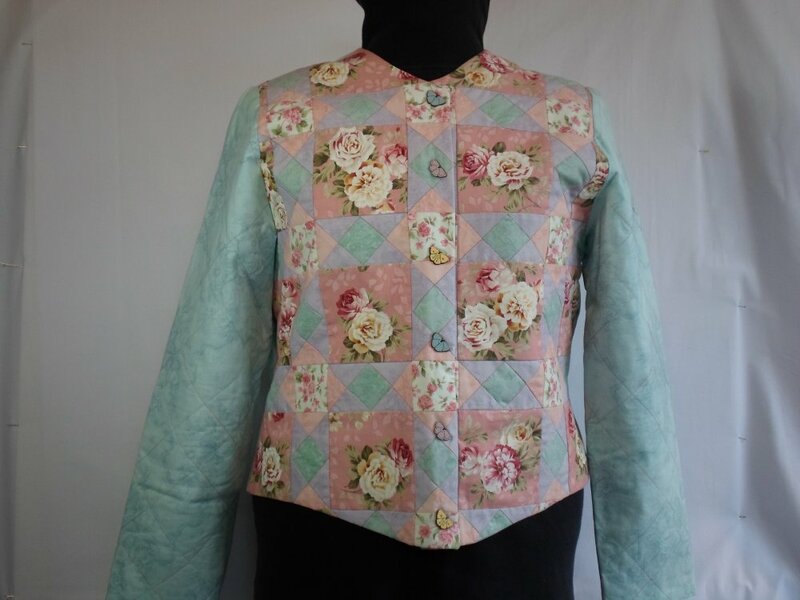 A garden trellis of quilt blocks surrounds large-print romantic roses in soft,dreamy colors on the front of this pieced, semi-fitted jacket with a figure-flattering shape and curved hemline. The trellis design is repeated in the simple quilting on the plain sleeves and jacket back. All sizes included, XS-XXL, 4-26. KIT includes pattern, similar fabrics and 6 handmade butterfly buttons. It does not include notions or lining. BUTTONS: 6 handmade butterfly buttons, 2 each yellow, pink and blue.